Harnessing a unique sense of intimacy and inspiration, Love International launches this summer in the picture-postcard town of Tisno, surrounded by verdant pine forests and the glittering waters of the Adriatic Sea, hidden away with its own secluded beach and bay. By day a beatific chill-out under the sizzling sun, then as the evenings gather pace the stars come out and the enchanting site transforms; as night closes in it becomes a pulsating festival which looks out across the sea, the action culminating at the stunning fully outdoor club, Barbarella’s, to see the sun’s rise. 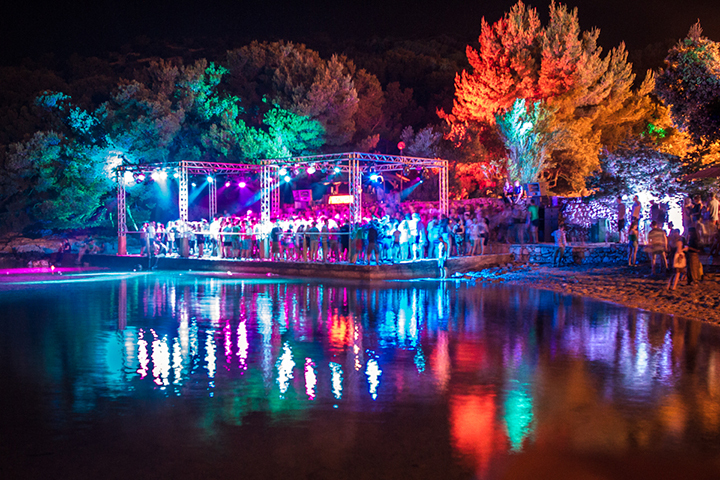 This tiny strip of true paradise draws music lovers and adventure seekers from across the world to Croatia for a mesmerising holiday and festival odyssey. Five of the just revealed namesare all amazing artists in their own right, each bringing something different to Love International. 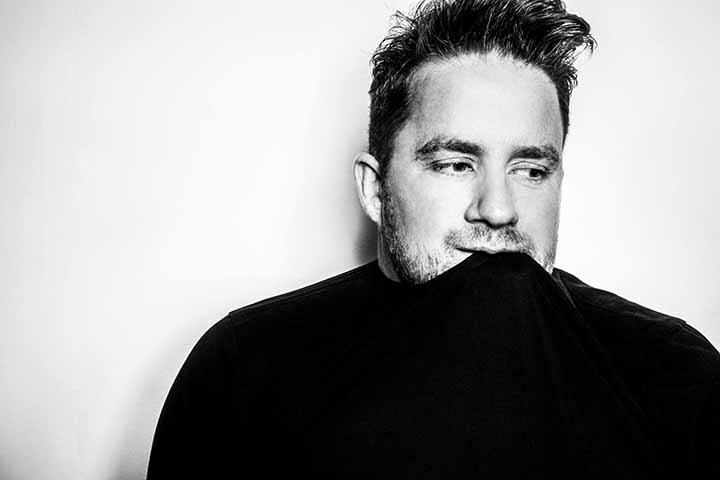 Eats Everything is quite simply one of the world’s biggest DJs and for the last three years he has blown Tisno away; for pure electric party vibes it doesn’t get any better. 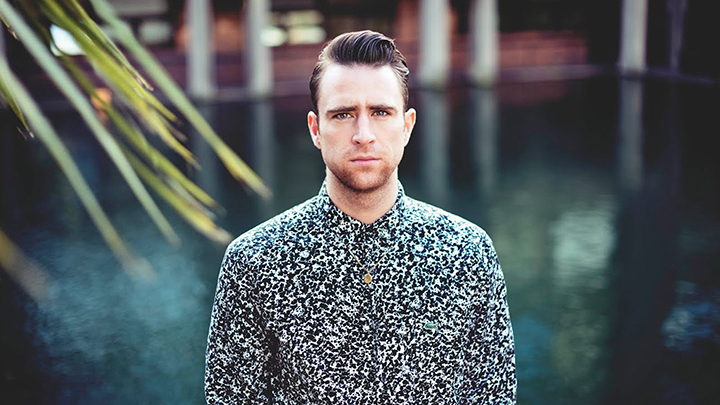 Bicep had a huge 2015 and the duo are all set to make this year even bigger, sculpting sublime sets across disco, house and techno, whilst Jackmaster played arguably one of the defining sets of last year with Armand Van Helden, their Boiler Room show skipping between French touch to garage and everything good inbetween. Roman Flugel is a Teutonic legend from the early 1990s crossing ambient, house, techno, electro and leftfield, and prime Swedish export Axel Boman is a bit of a young legend already; his Studio Barnhus label is a source of great material, and he has released and remixed on Permanent Vacation, Moodmusic and Hypercolour. 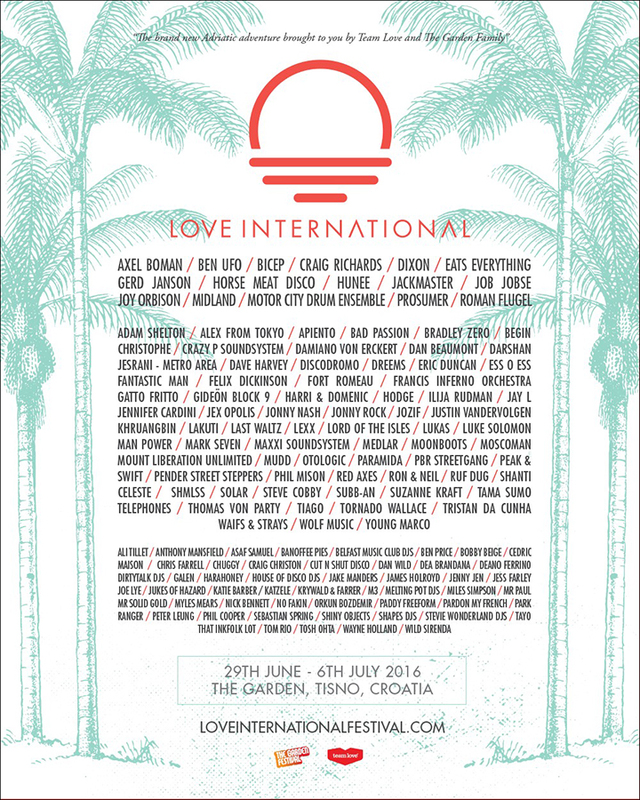 The guys are joined by the already announced Dixon, Motor City Drum Ensemble, Ben UFO, Gerd Janson, Craig Richards, Joy Orbison, Midland, Horse Meat Disco, Prosumer, Hunee and Job Jobse. Further guests announced include Young Marco and his gleefully genre-seguing sets which have brought him great acclaim; the Dutch DJ is one of the scene’s most creative minds, andTisno faves Crazy P Soundsystem make their annual pilgrimage to the region. Felix Dickinson continues to add to his sublime career, from Burning Man to Glastonbury to Bad Passion resident, and to being a pivotal part of the UK house music scene, whilst Tisno regulars PBR Streetgang bring back theirepic party music. Subclub duo Harri & Domenic make their debut, fresh from DJ Mag awarding them Best Small Club of 2015, and re-Rex club resident and frequent Panorama Bar guest Jennifer Cardini also joins the festival and makes her debut. Metro Area’s Darshan Jesrani is another welcome face, fusing disco and house to seamless effect, and the esteemed Maxxi Soundsystem has released on Futureboogie, Ellum Audio, Hypercolour, Wolf Music and makes a welcome return. Classic statesman and long-time DLC collaborator Luke Solomon takes to the decks too, and Dalston Superstore’s Dan Beaumont returns after last year’s boat mayhem.